In 1957, three awning salesmen sat in a bar on the north side of Chicago and the subject of diamonds entered the conversation. Joseph Murano, 39 years of age, and Leslie Cohen, aged 42, listened attentively as the newly hired 39-year-old Joseph Schmitz described his 20-plus years of adventure on the high seas. He captivated his audience of two with endless stories of jungle exploration, covert meetings, and harrowing escapes. Schmitz said that he was planning to purchase a small schooner and sail for Africa to join in on the illegal trade of diamonds. He felt that a smaller boat would allow him to slip into port under the cover of darkness, obtain the diamonds from Arab and Portuguese dealers, then ferry them north – possibly to Cairo or Casablanca – and sell them at a significant profit. He said, “If a man has the guts, he can make a fortune.” Even better would be if he could hook up with geologists that he was acquainted with, then he could knock out the middleman and become rich beyond his wildest dreams. 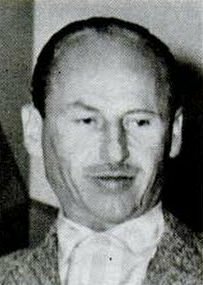 Image of Joseph Schmitz that appeared on page 98 of the March 2, 1959 issue of Life magazine. If this all sounds like a bunch of bull poop, it’s not. A couple of minor white lies were told, but most of what he said was true. Schmitz really had traveled the seas for a couple of decades, had a master mariner’s license, and had escaped from bad situations multiple times. Needless to say, Murano and Cohen were hooked. Neither had ever sailed in anything more than a rowboat, but the thought of an overseas adventure and being part of the lucrative, even if illegal, diamond trade was far more appealing than their dead-end aluminum awning sales jobs. They wanted in. None of these guys had much in the way of savings, so Cohen and Murano sold their most valuable assets to finance the trip: their cars. They then made a visit to their local sporting goods store to purchase everything that they thought would be needed for a trip like this, including the obligatory yachting caps and elephant guns. In early August they packed up everything and headed for the Long Island Sound that lies between New York and Connecticut. Upon arrival, Schmitz telephoned a New York advertising executive named Clayton Jaeger and set up a time to meet and discuss the sale of his 52-foot (15.8 meter) long boat named the Serene. The next day the three men went to meet up with Jaeger. Both Cohen and Murano were surprised by how small the boat appeared to be. What it was lacking in size was made up for in niceties. In addition to having a full set of sails, each man could take comfort in the so-called “Saloon” below deck. There was also a captain’s cabin, a galley kitchen, the obligatory bathroom, and, should one find themselves adrift, a gas-powered engine. 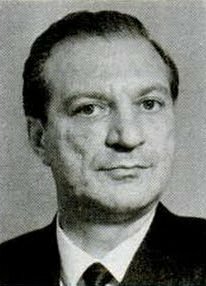 Image of Joseph Murano which appeared on page 98 of the March 2, 1959 issue of Life magazine. As Murano and Cohen began to fully take in the pros and cons of what they were in for, Schmitz went below deck with Jaeger to discuss the terms of the sale. Once back on shore, Schmitz told the other two that a purchase price had been agreed upon and that they would be departing shortly. They spent the next few days gathering up the nautical equipment and food required for the long voyage. While they did purchase some perishables like eggs, potatoes, and tomatoes, Schmitz advised that they stock up on foods that wouldn’t spoil easily. That included cans of beans, sauerkraut, sardines, cheese, peanut butter, dried prunes, and soda crackers. He assured them that once they reached the African coast, they would be dining upon fresh meats and fruits. 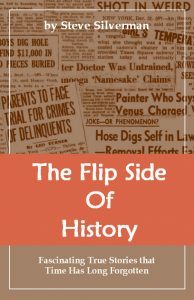 Early on the morning of August 14, 1957, the three finally set out from City Island in the Bronx on what was certain to be the adventure of a lifetime. While Schmitz had earlier implied that sailing a ship of this size was a fairly easy thing to do, Cohen and Murano quickly realized that it was anything but. They were totally unprepared for what was about to come. While still in calm waters, Schmitz attempted to give his two assistants a lesson in handling the lines. It was mass confusion. As Schmitz was blurting out commands that they could barely understand, the two novices were getting tangled up in the unfolding sails and ropes, smashing into the masts, and just plain getting beaten and bruised up by the whole experience. Once the drill was over, the two went below deck to grab a beer. They didn’t have long to relax. Seemingly out of nowhere the floor of the saloon rose up and then crashed back down, sending Murano and Cohen flat down on to the carpeted floor. The storm that they had sailed into seemed to increase in intensity with each passing hour. At one point Schmitz tied himself to the captain’s wheel and ordered his two inexperienced partners below deck until the storm had passed. In the meantime, each would take turns crawling out on deck to spoon-feed Schmitz from a can of beans. At one point the schooner rolled so sharply that its mast nearly touched the water. Even worse, the cabin started to fill with water. Schmitz told the two men that they needed to start the engine up and pump the water out. But it wouldn’t turn over. It was later determined that the fuel lines had broken and much of the gasoline had leaked into the ship’s bilge. They proceeded to pump by hand, not realizing that they had pumped hundreds of gallons of fuel out of the boat. When the storm finally passed three days later, the yacht was spotted by a Navy transport ship. It headed over to see if the three were in need of any help, but Schmitz assured them that everything was just fine. Cohen and Murano stood there stunned as they watched him turn down an offer of much needed assistance. Schmitz assured the two that he had been through far worse and that everything would be fine. 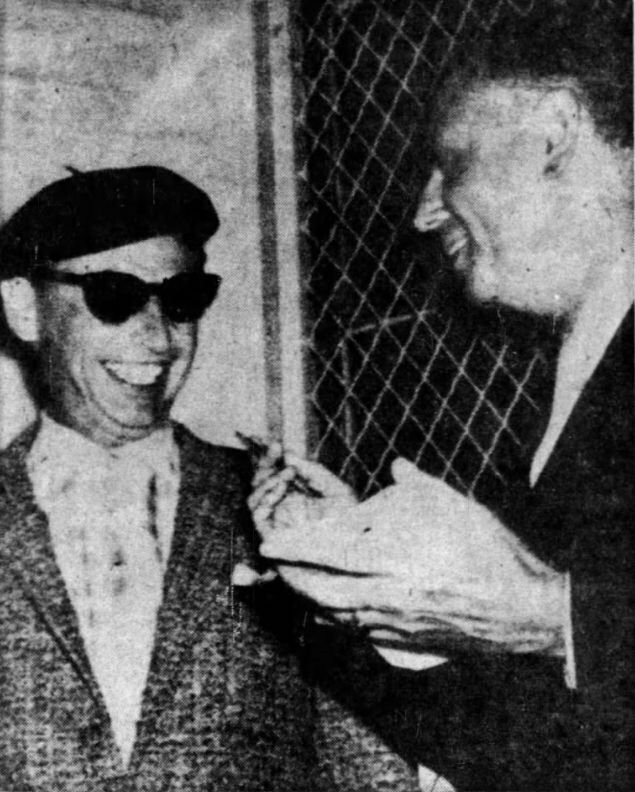 This image of Joseph Schmitz/Emanuel K. Bredel appeared on page 6 of the July 3, 1958 issue of the New York Daily News. But he was wrong. The sails of the ship were in tatters and were getting worse with each passing day. Patches only go so far. Even worse, Schmitz calculated that the storm had blown the Serene way off course and they were near Bermuda. Murano and Cohen felt that anchoring there was the most logical thing to do, yet Schmitz vehemently argued against that idea. Not only did he lack the maps needed to navigate their waters safely, he felt that they could make better use of their time heading straight for the African coast. He also had the big advantage in the fact that he was the only one who knew how to sail the boat. As they continued on their journey, another life-threatening situation appeared. They had sailed into dead, calm water. Sails need the wind to move and they were going nowhere. Under normal circumstances they would have started up the gas engine, but all of its fuel had been pumped overboard. As a result, day after day the Serene just sat there. 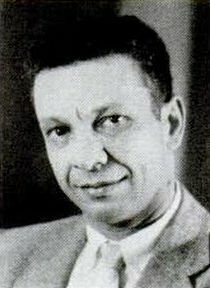 Image of Leslie Cohen that appeared in the March 2, 1959 issue of Life magazine on page 98. Even worse, they were running out of food and drinking water. Murano had shed 50 pounds and Cohen dropped 30 (approximately 23 and 14 kg, respectively), making them far too weak to continually operate the hand pumps to empty the water out of the bilge. Everything changed one morning. Schmitz pointed to his mariner’s license that he had tacked up on the wall. Everything looked legitimate on the document except for one small detail: it wasn’t Schmitz’s name on the license. Instead, it was for someone named Emanuel K. Bredel. Captain Schmitz was no more. The two underlings were to refer to him as Captain Bredel from that moment on. Not only did Schmitz have a new name, but so did the boat. The Serene was rechristened the V. Marcel. The newly coined Captain Bredel estimated that they would reach the island of Madeira off the western coast of Africa within a day. This was great news for the starving crew, but they still had one more big problem to deal with. They had sailed right into the path of Hurricane Carrie, which was the strongest tropical cyclone of the 1957 hurricane season. On September 21st of that year, Carrie was powerful enough to destroy the German barque Pamir. It went down in the Azores, just a few hundred miles away from the Serene’s location, killing 80 of its 86 men aboard. A small boat like the V. Marcel barely stood a chance. This time Bredel was correct. The Canary Islands were spotted out in the distance. The storm had blown the V. Marcel approximately 300 miles (480 km) south of Madeira. Cohen and Murano’s 50-day nightmare seemed to be finally over. 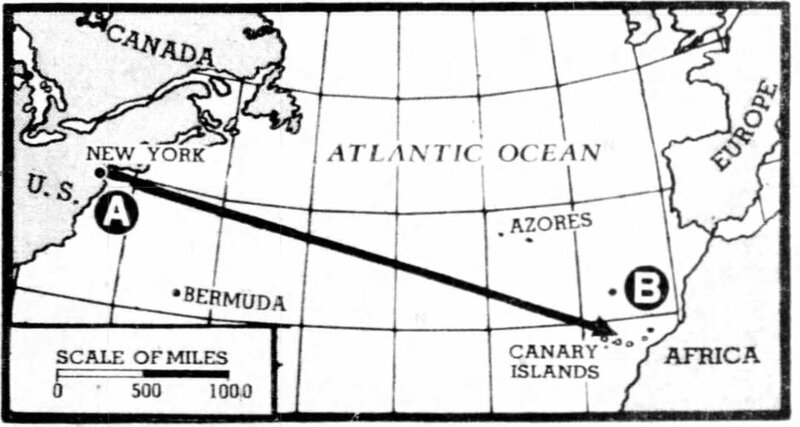 Map showing the general path of the Serene as it made its way across the Atlantic Ocean. 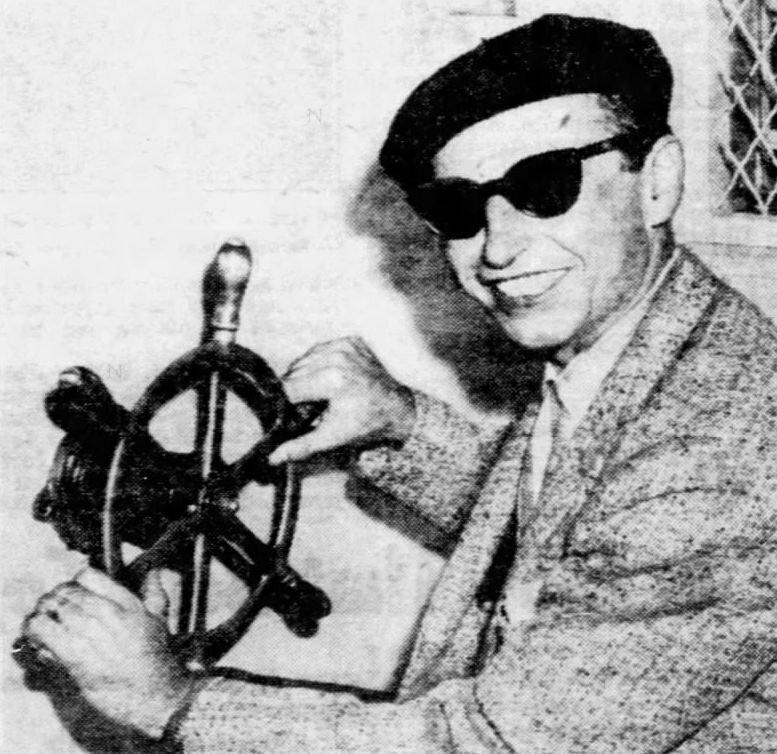 Image appeared on page 3 of the November 3, 1957 publication of the New York Daily News. Cohen and Murano had no desire to travel any farther with Bredel, but they lacked the resources needed to go their own way. They really had no choice but to get the ship back in working order. That included repairing the shredded sails, fixing the broken engine, and waterproofing the rigging using fat obtained from a local slaughterhouse. Growing ever frustrated with Bredel, the two finally decided that they had had enough and quit. Being stranded in the Canaries in 1957 wasn’t the ideal situation, but it turns out that they weren’t alone. Two American men were sailing from Copenhagen to California, but thieves in Casablanca had robbed them blind. They agreed to provide Murano and Cohen with passage to the West Indies in exchange for stocking the boat with the necessary provisions. The two sold just about every possession that they had and soon set sail. Their awful experience of sailing across the ocean with Bredel was now just a memory. At least that is what they thought. Their forty-four day trip to the West Indies was anything but pleasant, but when they finally arrived in Barbados, Cohen and Murano were greeted with the shock of a lifetime. While still in the Canaries, Murano had written to relatives back in Chicago requesting that they send money. The replies that he received were not what he had wanted to hear. Instead of sending money, he learned that all three of them were wanted by the FBI for the theft of the Serene. It turns out that the Serene had never been for sale in the first place. When Bredel – his name truly was Emanuel K. Bredel – met with the boat’s owner, 35-year-old Clayton T.M. Jaeger, it was only to lease the boat. In exchange for a $571 fee, the two agreed upon a 10-day excursion, which was later extended to 17 days, that was to be strictly confined within the Long Island Sound. Jaeger made it perfectly clear to Bredel that under no circumstances was he to sail the boat out into the open ocean. Its sails were simply not up to the task. When the boat didn’t arrive back after its charter expired, Jaeger became concerned and contacted the Coast Guard. It wasn’t long before airplanes and cutters were searching every inlet along the Atlantic coast looking for the Serene. When they failed to spot her, thoughts of more sinister plans came to light. Could they have stolen the boat to smuggle drugs? Were they using it for gun running? How about Russian espionage? That’s when the FBI was called in to investigate. When the boat was initially rented, Schmitz/Bredel gave his address as 3435 N. Bell Avenue in Chicago, but upon investigation it was learned that this was a former address of Bredel’s cousin Robert Schmitz and his family. Emanuel K. Bredel posing for the cameras after his arrest. Image appeared on page 6 of the New York Daily News on July 3, 1958. Cohen and Murano used the last of their money to fly back to the States. Originally informed that they faced a maximum penalty of $10,000 ($88,000 adjusted for inflation) and 10 years in prison, the two must have been greatly relieved to find out that no charges were to be pressed against them. The FBI was only interested in locating Bredel, who just happened to be on probation from a twenty-year suspended sentence for forging checks. Locating Bredel proved difficult because he had already left port. This time he took on an English teacher as his mate and was sighted in various locations throughout the Canary Islands. Authorities finally caught up with him on November 27th and, pending clarification of the true ownership of the Serene, the boat was confined to the naval yards in Las Palmas and placed under constant guard. Two Spanish crewmen and two Swedish women who were aboard at the time were released after it was determined that they had no involvement whatsoever in the theft of the boat. 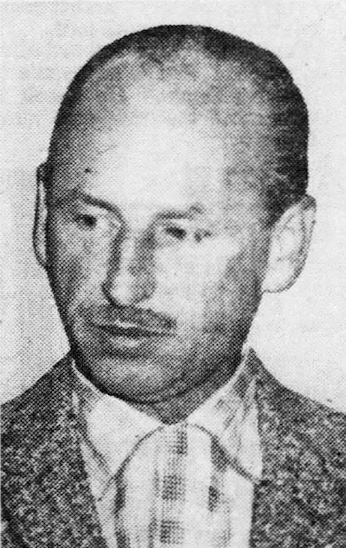 Bredel was ordered to stay aboard the boat, but on Tuesday January 28, 1958 he gave them the slip by swimming underwater past the Spanish guards. He left everything behind including his personal belongings and the Serene itself. A Spanish electrician named Severiano Goday Rodriguez, who in exchange for a promise of obtaining a job in New York, helped Bredel to stow away aboard a fishing boat which was headed about 300-miles (480 km) northward to the island of Madeira. Upon arrival in Madeira, Spanish authorities turned Bredel away and he was forced to sail back to the Gran Canary island. He was arrested on February 23rd while socializing in a Las Palmas waterfront cafe. Spanish police were taking no chances this time: they locked him up in a real jail cell. Once extradition proceedings were completed, U.S. Marshal Thomas J. Lunney and Assistant U.S. Attorney Herbert F. Roth traveled to the Canary Islands to bring the suspect back. After taking Bredel into their custody, the three boarded the SS Independence on June 26th and arrived back in the United States on July 2nd. Emanuel K. Bredel (left) with U.S. Marshal Thomas J. Lunney shortly after their arrival back in the United States aboard the Independence. 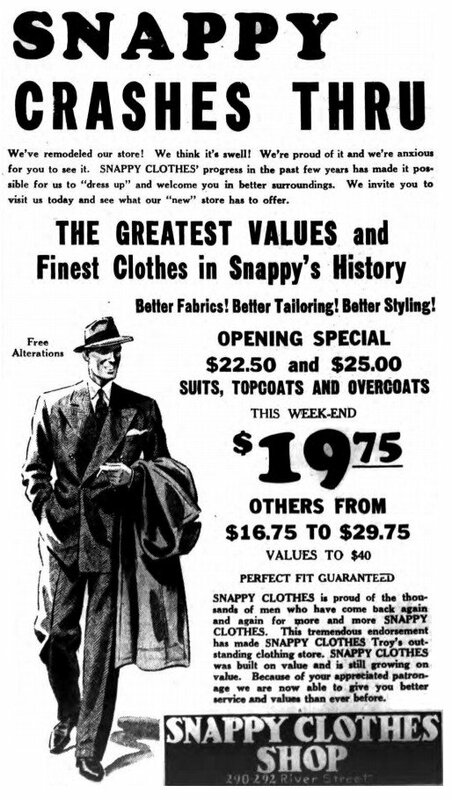 Image appeared on page 3 of the July 3, 1958 issue of the Marion Star. Four charges were filed against Bredel: theft of the Serene, theft of Clayton Jaeger’s personal property, transporting stolen goods, and altering a Coast Guard certificate. He was held on $20,000 (about $172,000 today) bond and was facing a prison term of 30 years and/or a $30,000 fine. Being totally broke at this point, a Legal Aid Society attorney was assigned to defend him. At all times, Bredel was the model prisoner. He made no attempts to escape, was polite, cooperative, and impressed just about everyone, particularly the judge assigned to his case. Passenger list from July 2, 1958 for the U.S. Steamship Independence. Emanuel K. Bredel is third down from the top. He pleaded not guilty to all charges. On October 1st, a jury of two women and ten men deliberated for two hours before returning a guilty verdict. As for the Serene itself, the boat never returned to the United States. The insurance company concluded that it would be too costly to do so and opted to sell it to a Texan visiting the Canary Islands. They paid its former owner Jaeger $12,000 (about $103,000 today) for his loss. It probably shouldn’t come as much of surprise that Captain Bredel would make the national news one more time. This time it was not for stealing boats, but for stealing cars instead. On December 15, 1960, he was arrested for the theft of a Cadillac from a dealer in Westminster, Maryland and transporting the vehicle to New York. Two months later, Bredel and two other men were indicted for operating a lucrative car theft ring. Their modus operandi was to steal late model Cadillacs, transport them to New York, and then sell the automobiles to unsuspecting used car dealers. All three were found guilty. One of his co-conspirators was given a four year sentence, the other two and one-half years. The judge recommended that both serve no more than six months in prison with the remainder of their sentences being suspended. Bredel, on the other hand, wasn’t as lucky. He was sentenced to five years in prison.